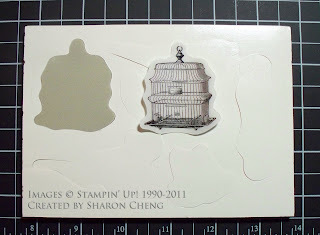 I use a different technique to put the labels on my clear mount stamps than the instructions given by Stampin' Up! 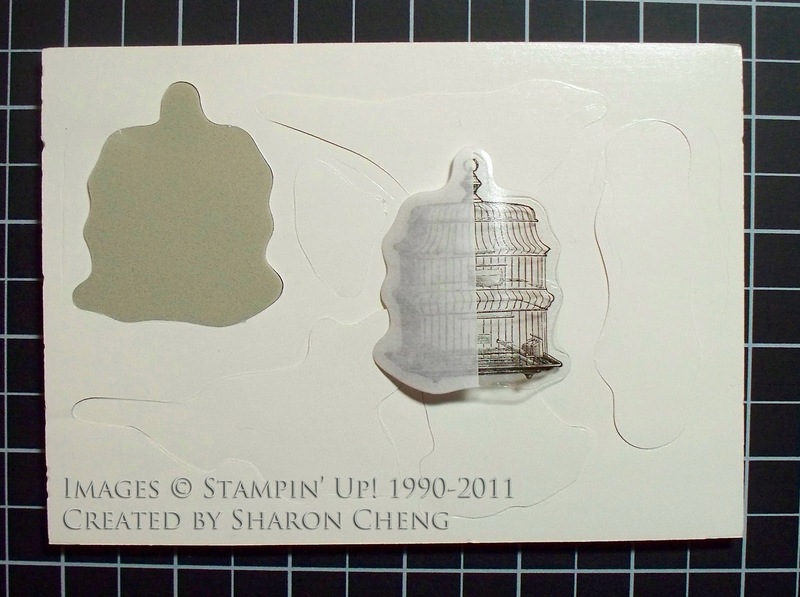 I started putting the labels on with this method because it's easier for me to line up the image with the stamp this way. Several people have asked me to post instructions for my technique. 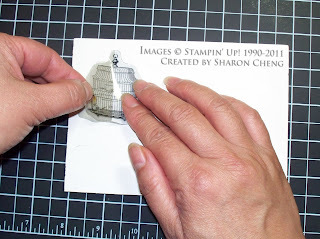 So here is my tutorial for how I add labels to Stampin' Up! 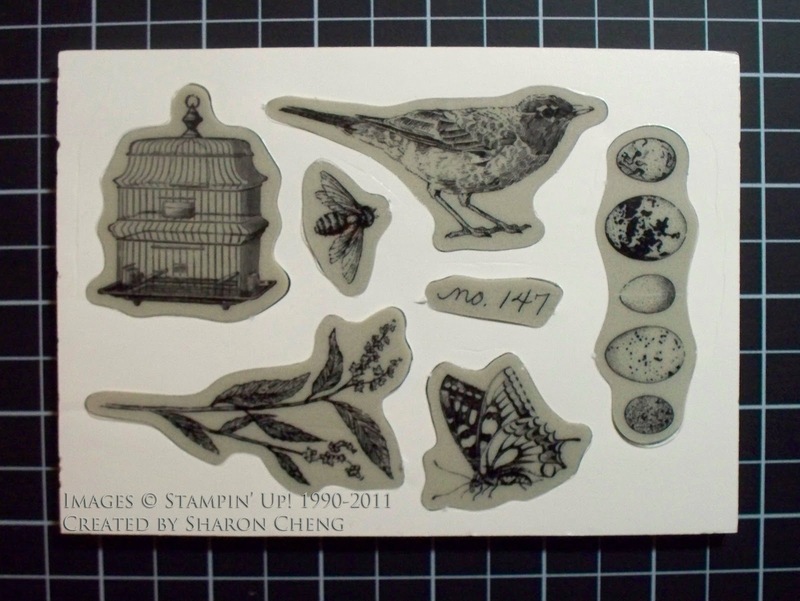 's clear mount stamps. 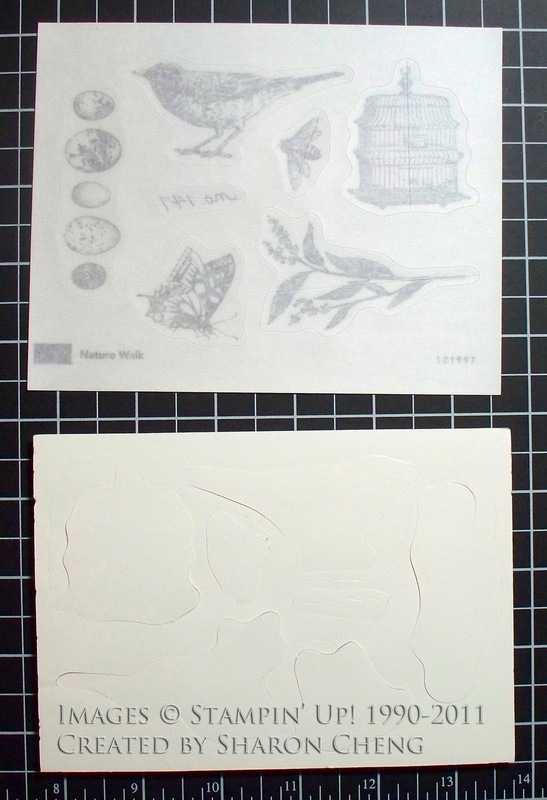 This is one of my favorite stamp sets in the Occasions mini catalog, Nature Walk. 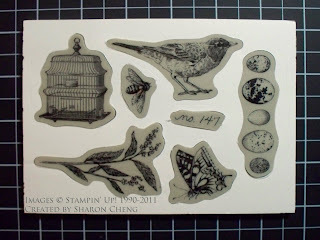 As you can see, the Stampin' Up! 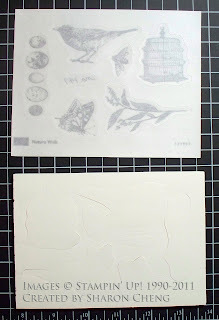 clear mount stamps come with die cut rubber stamps and labels. 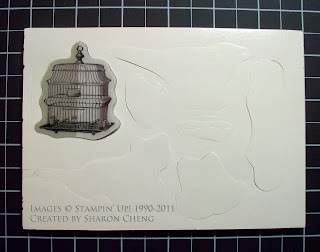 I leave the rubber stamps attached to the sheet that they come in. That way the stamps stay in place while I'm adding the labels. 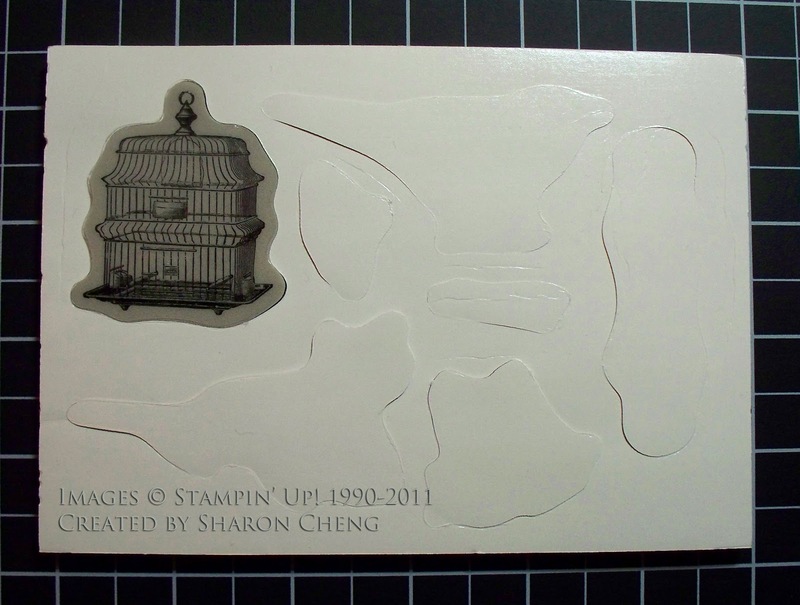 I remove the backing from one stamp and get the matching label. The backs of all of the labels have two parts. I peel the backing off of half of the label. 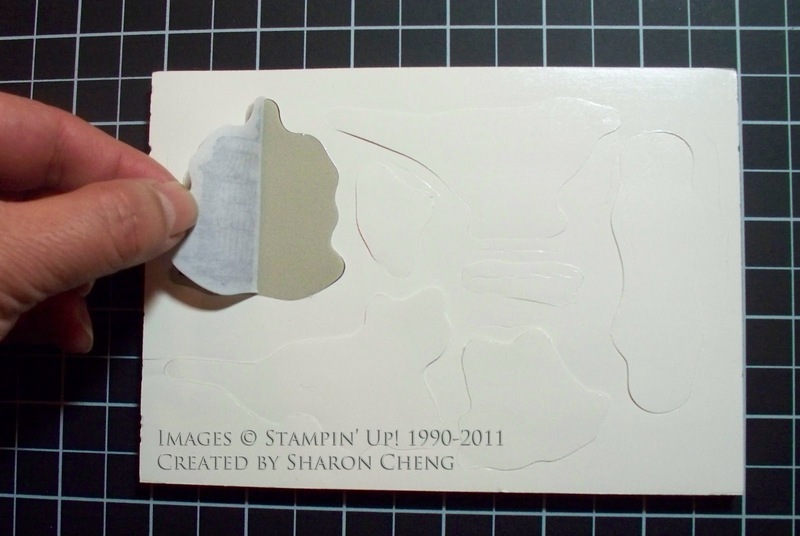 I hold the sticky side of the label up while I line up the part of the label with the backing still on it. It isn't sticky, so you can take the time to line up the image. 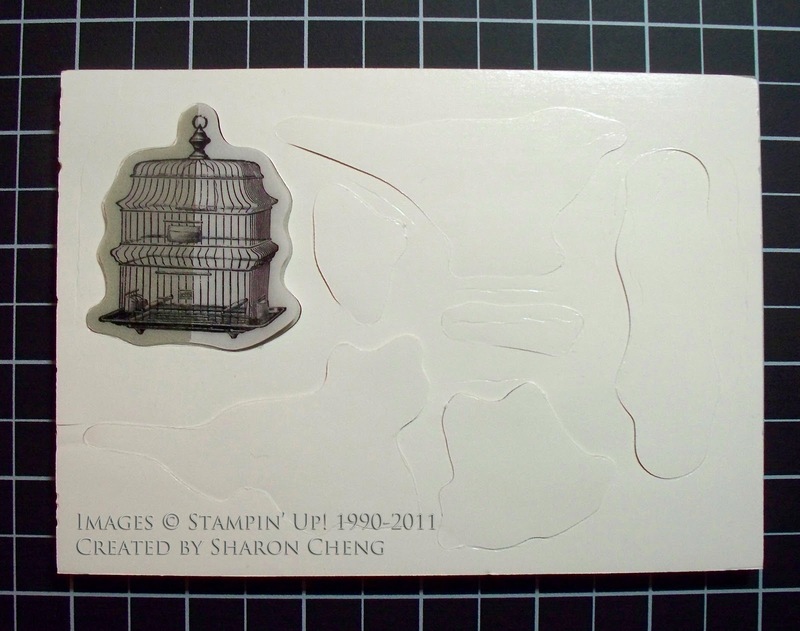 Since the label and stamp are die cut, it's easy to line them up. I press down the sticky side of the label in the center and then out toward the edges. 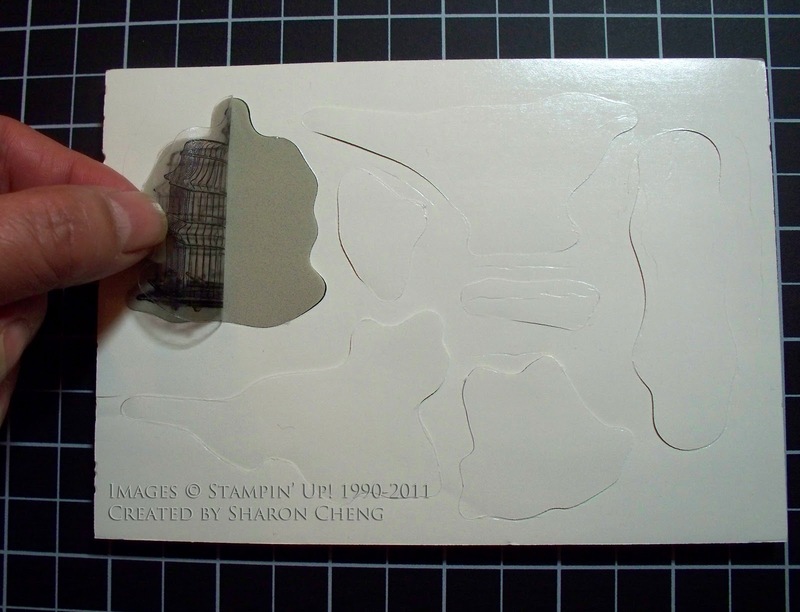 That way you avoid trapping any air bubbles between the label and the stamp. After this step, your label will look like this. Half of the label is attached to the foam while the other half still has the backing on it. 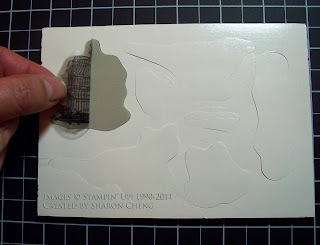 Pull back the label to remove the other half of the backing. Then press the label from the center out to the edges. You can see how the label is lined up with the stamp. Repeat with the rest of the stamps. I then punch the stamps out of the sheet and they are ready to use. When storing my stamps in the DVD case, I leave the stamps in the sheet. That way it's easy to make sure I have put all of the stamps back in the correct case.